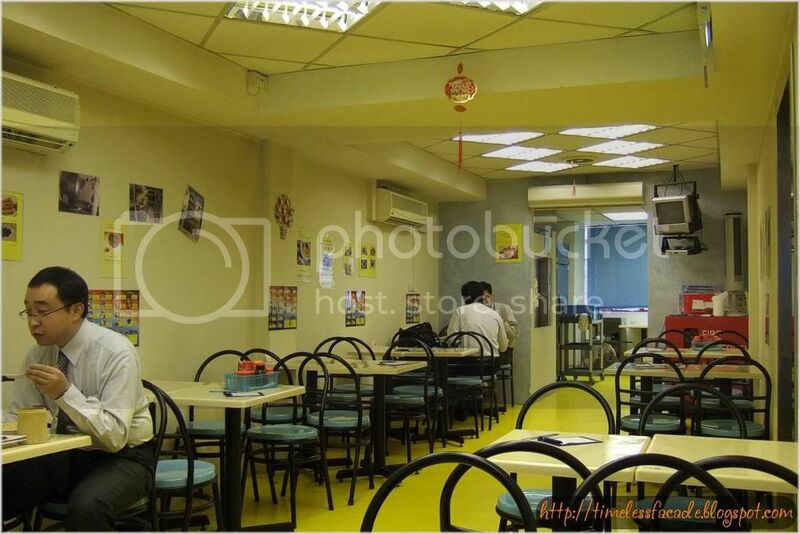 Heard of a mini Buddha Jump Over the Wall going for $8.90 with rice, Chinese Tea and dessert? 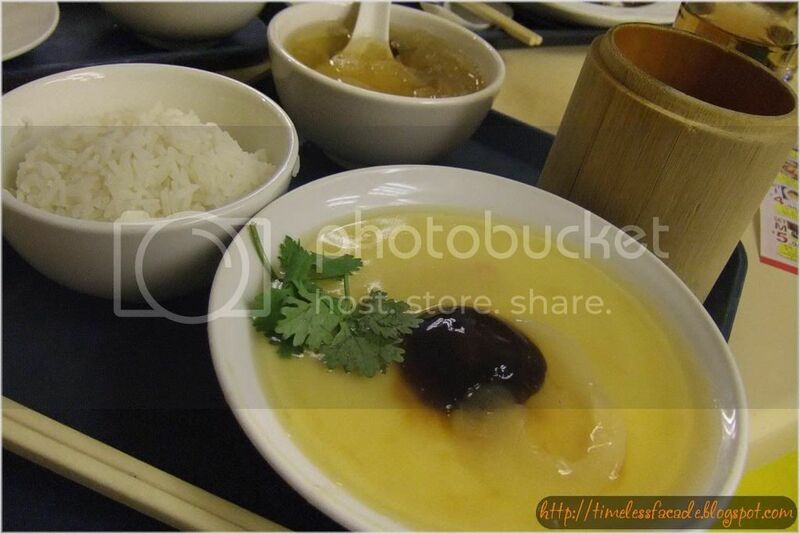 Or perhaps Shark's Fin with steamed egg, rice, tea and dessert going for $5.90? Sounds rather incredulous if you ask me, so it was with much gusto that my colleagues and I sought out the eatery offering such an incredible deal. It wasn't too far from our office, along Circular Road and about a 10 minute walk. As we got there at about 1205pm, there wasn't much of a crowd to speak of, but by the time we were done, the place was packed to the brim with people, both upstairs and downstairs. A testament as to how good the food is? Notice how small the slice of shark's fin is? I had the Set M, which consisted of Shark's Fin + Soup + Steamed Egg (Jap style) + Rice + Chinese Tea - all for a mere $5.90 + 5% GST. It really seemed too good to be true. Well as the adage goes, you get what you pay for. The Shark's Fin came really small and tasted jelly like instead of stiff like Shark's Fin should. 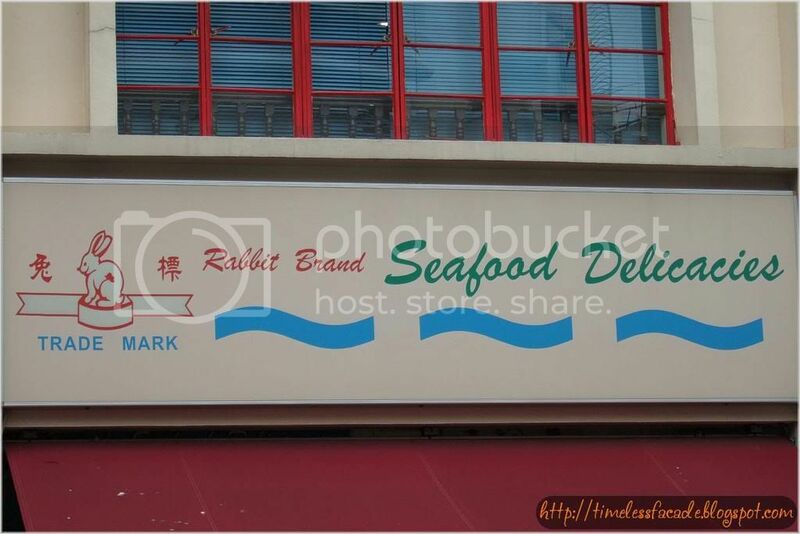 Possibility of imitation Shark's Fin? 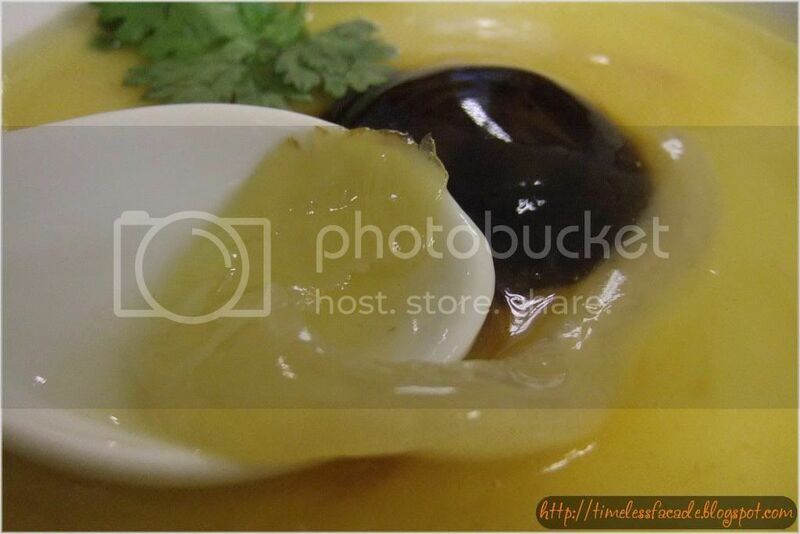 The steamed egg was way too watery even by Chinese cooking standards, not to mention Japanese style (Chawamushi). I will not even begin to talk about the dessert, which was White Fungus with Red Dates. The syrup was way too starchy and the white fungus was soft and limp when it should have been springy and crunchy. And I've not started being picky yet, or else there would have be more grouses. My take on this one? Don't waste your time. For the quantity and quality of food, I'm better off taking my business elsewhere. Have you tried this b4? This is the one along Killiney Road right? Haven't tried it before though I've broached the idea to my makan khakis. 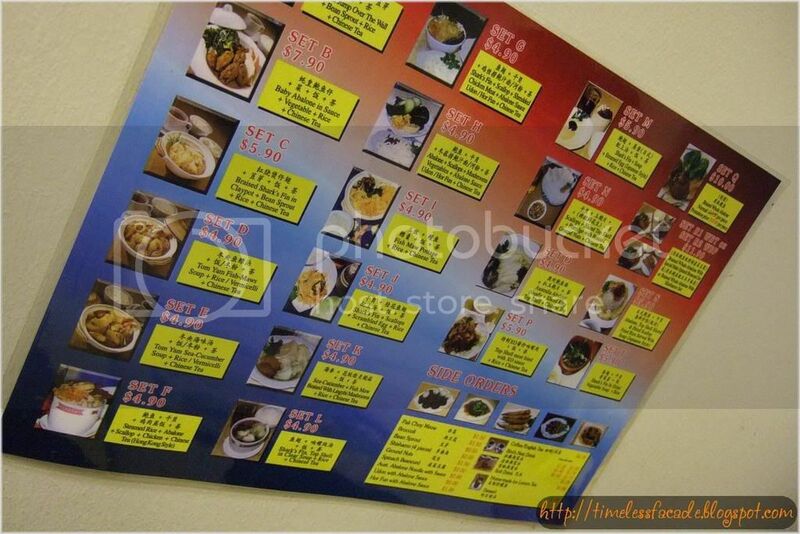 But the stuff didn't look cheap when I browsed through their menu the other time.